This monumental volume (nearly 1000 pages!) 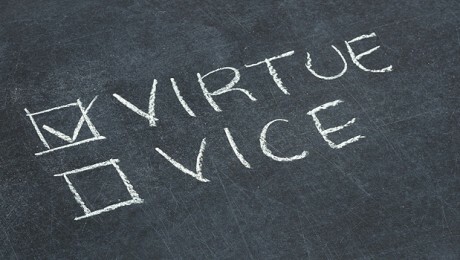 on Virtue edited by Nancy Snow is now available to pre-order. I think it will be a must read for those interested in the virtue ethics tradition. It contains 42 chapters, the last chapter in the book is my contribution on "Virtue Epistemology and the Democratic Life". Looking forward to seeing the completed volume when it comes out. Integrating insights from the Ancient Greeks (e.g. concerning virtue, eudaimonia, and the original meaning of “democracy”), John Dewey, and recent work in virtue epistemology, this chapter develops a virtue-based defense of democracy, one that conceives of democracy as an inquiry-based mode of social existence. This account of democracy is developed by responding to three common concerns raised against democracy, which the author calls the Irrationality Problem, the Problem of Autonomy, and the Epistocracy Objection. Virtue epistemology can help elucidate the link between democracy and human flourishing by drawing attention to democracy’s potential for cultivating and refining the “intellectual virtues” (e.g. intellectual humility, fairness in evaluating the arguments of others, the social virtue of being communicative, etc.) constitutive of the good life.